Homeopathic Medicine for Anxiety Neurosis Treatment. Neurosis is a class of functional mental disorders involving distress but neither delusions nor hallucinations, whereby behavior is not outside socially acceptable norms. It is also known as psychoneurosis or neurotic disorder, and thus those suffering from it are said to be neurotic. Homeopathy remedies has a successful cure rate in neurosis. 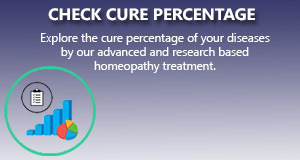 The homeopathy treatment is based on both mental and physical symptoms of a patient. The mental symptoms are more characteristics than physical symptoms to select the remedy. In neurosis patient there are clear cut mental symptom. In our Multicare homeopathy online treatment center peoples suffering from neurosis have been benefitted using our advanced homeopathic treatment packages. We apply the most scientific and research based homeopathy treatment package that gives a long standing cure to the ailment.